Trevor John Penny's academic prowess has allowed him to escape from his close-minded 1970s working class background - a past which he is keen to forget. Ambitious to leave his mark on the world of academia, he is nevertheless discharged from two British universities for a variety of misdemeanours. Thus, he fetches up in his late forties in an unpretentious university in Perigueux in the Dordogne. This is where the story really begins as Penny, in search for an outlet for his bruised vanity, bumps up against a lively host of French characters and a notable American woman, Columbine Snow, with whom he begins an interrupted love affair. 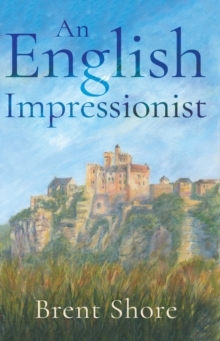 Set in the picturesque town of Frettignac-du-Perigord over a period of four years, An English Impressionist is a novel of feints and diversions in which the reader discovers how far relationships are sacrificed to Penny's ambition to establish a legacy: a unique museum where the literature and art of two nineteenth-century English brothers are to be set side by side. The tale is told by Amande Puybonieux, the near seventy-year-old spinster and confidante of Columbine, whose mysterious family is at the centre of the novel's sub-plot. Readers who enjoy layered characters and a lively, twisting narrative will relish this story where first impressions may very well be mistaken.